One day in class, Grace Campbell discovered there has never been a female president. “Where are the girls?” she asked, as her third-grade teacher rolls out a poster of all 44 U.S. presidents. 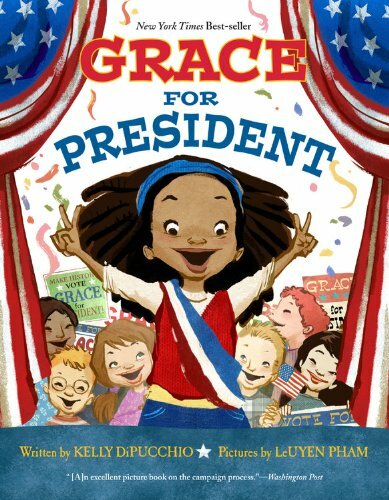 Frustrated by the lack of female faces in the White House, Grace decides she wants to be president and inspires a school election. She seems the likely winner until the most popular boy runs against her. Through the throes of campaigning and pep rallies, service projects and posters, Grace and her classmates discover what it takes to be the best candidate and find the fun and hilarity in the wonderful world of politics! Join us in Mrs. Barrington’s classroom this election year!